I discovered Facit typewriters noticing one on Craigslist. It was a desktop model, a T1, offered at $100 (I negotiated for a cheaper price). The styling impressed me as European, so before making my purchase, I searched the Internet for information on this machine. Then, I found Inga (see here). I was smitten. Yes, I bought that T1, and later a TP1 (featured above), for the love of Inga. But, now, the machine. It is elegantly industrial with graceful, swooping lines (more the T1, but also the TP1). 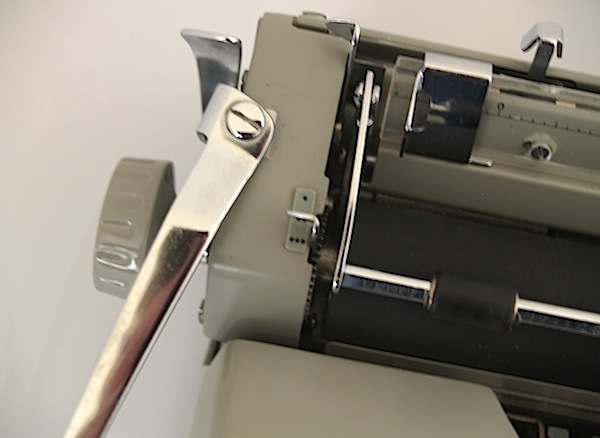 The “Facit” mark, spaced letters on the rear of the machine, is chic, perhaps one of typewriter’s more visually commanding features. Bernadotte is best remembered today as one of Sweden’s greatest industrial designers. His work also included furniture, kitchenwares for Husqvarna, flatware for Scandinavian airline SAS, bowls for Rosti Margrethe and radios for Bang & Olufsen. Bernadotte’s enduring designs appeared in functional objects, for which he adopted geometric shapes, leading a movement away from the long-standing natural, organic forms of Art Deco and Art Nouveau. — link. Design was not a secondary consideration. Even the smallest elements are elegant, for example, dots to indicate single, double or triple spacing. 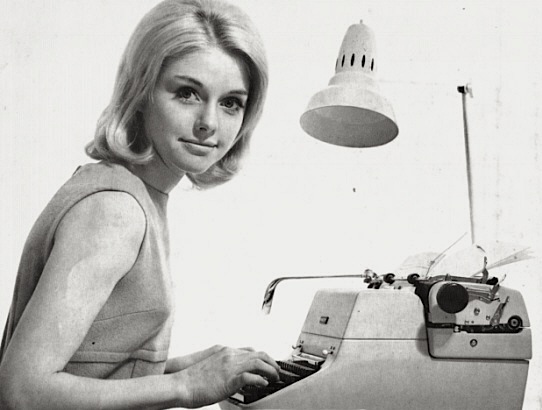 Perhaps it is incredible that one would buy a typewriter because of a woman — but I don’t find it so incredible — but, truthfully, Inga was not the only consideration. The machine, too, is a graceful beauty. I would say more about this typewriter, but Robert Messenger offers an excellent write-up here: Facit TP1 portable – The Prince of Typewriters (quoted earlier). Yikes! Thanks for pointing that out. Corrected. I agree with Richard, “pleasant” is a good way to describe the Facit typing action. I also like the minimalist Scandinavian design.